The only thing better than one comedy legend? Two. 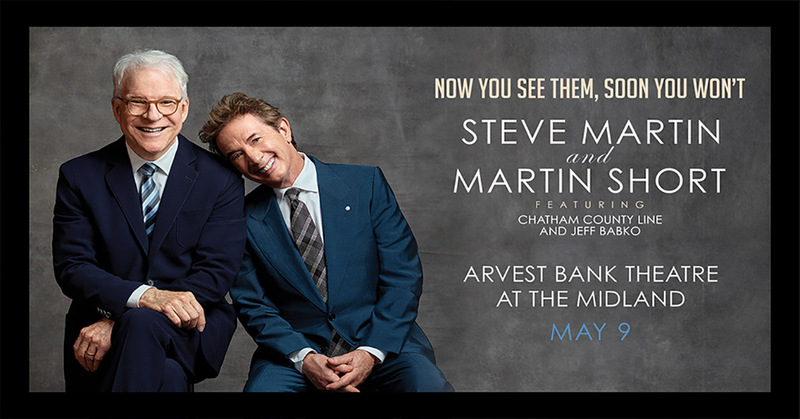 Specifically, Steve Martin and Martin Short entertaining audiences on their Now You See Them, Soon You Won’t Tour. As for Martin and Short’s recent work together, they starred in the Netflix special “An Evening You Will Forget for the Rest of Your Life” released this spring. It has been well-received by fans and critics alike. Fans can also expect Martin and Short to bring laughs with new musical sketches. They’ll be joined by bluegrass band The Steep Canyon Rangers and Jimmy Kimmel Live band member Jeff Babko. Read the full interview with The Associated Press. The Now You See Them, Soon You Won’t Tour comes to Kansas City on May 9 at Arvest Bank Theatre at The Midland. Tickets are available on AXS.com, or visit the Facebook event page for additional information.